About a week ago we had a string of days with unseasonably warm temperatures in the upper 70s and hovering at 80 which transformed our usually sparsely populated winter beach back into a spring beach, covered with bikini-clad college students and families with young kids. That all changed last Thursday afternoon, as a front passed through dropping temps back into their normal winter range. 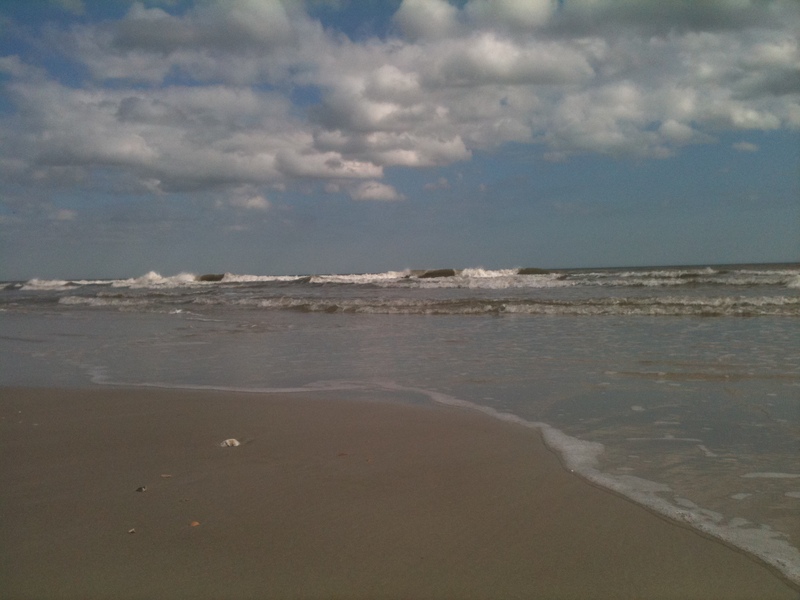 But before the front arrived, we had one last May-like morning to walk along Jax Beach, which was dotted with a fair number of sunbathers and families, walkers, joggers, and fishermen all enjoying the last bit of extra warmth before winter weather returned. As I followed the shoreline south, I noticed a young family ahead of me. The mother and father were talking and taking pictures of their young daughter who was running into the surf, squealing when the cool water crashed into her, running back toward her parents giggling, and then turning around and repeating the entire sequence over again. When I met back up with my husband toward the end of my walk, I told him about the little girl. Later that day I repeated the story to our adult son and daughter and posted it on my personal Facebook page, sharing it with as many friends and family as possible. And now I’m sharing it with you here, not only because it relates a delightful moment of one little girl’s joy, but because of what witnessing it has revealed to me. My first thought upon hearing her proclamation was to be grateful that I get to walk on the beach almost every day. My second thought was to hope that at her age she was merely experiencing the best day she’d had so far, and that she would have many more to come as she made her way through her life. But then I came to what has stuck with me since that moment, the question of what makes any particular day a best day. Best days, like beauty, are ultimately in the eye of the beholder, or the heart of the experiencer maybe. For me, the best days of my life don’t depend on temperature or latitude, although warm sunny beach days certainly don’t hurt. My best days are the ones I share at least part of with friends, family and loved ones, and, as most of those people know, the days I spend writing. Creating something seemingly from nothing, but of course built on inspiration and experience, whether it’s a few words or dozens of pages, makes a day great in my book. What makes a day great for you?